Our aggressive marketing and smart pricing approach together with modest selling fees allow us to offer you a results based service that saves you big money! Selling homes in a timely manner at the most advantageous price has enabled us to achieve past success for our clients. That's why we can offer you Performance Advantages that will allow you to accomplish your real estate goals. We focus on TIME, PRICING, and STRATEGIC MARKETING to get RESULTS! We can make finding a home easier, enjoyable, less time consuming and less expensive. We know which homes are for sale. Which are fairly-priced. What condition they are in and more. Give yourself the advantages. Financing, inspections, possesion and more. Your home buying experience is our priority. Every part of it. See full details of each individual listing, including all photos. Do you want to stop paying rent? Build equity? To have a place of your own? Raise a family? No obligations necessary to start this process...no timelines to adhere to. We'll help you at your pace! Using skill, experience and technology ensures we'll consult with you to sell your home for the highest price and in the shortest time. Our extensive online marketing system makes information accessible 24-hours a day to each and every prospective buyer. We'll ensure your home is open and available to view for home buyers and via open house, as you permit. We employ case specific negotiating to absolutely make sure we've secured your best possible scenario. We'll consult and encourage your input. 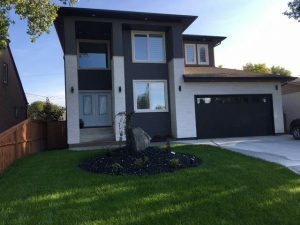 Outstanding New Home with Stunning Kitchen-Open Concept Floorplan-Large Master Suite w/5pc Ensuite- Seco-Air Wall System and much more! Awesome 1 Bedroom Condo with concrete floors, wood-grained laminate flooring and updated fixtures (2018) - Appliances included and indoor heated parkade! Very affordable! Stunning 3 Bdrm Two Storey with 2.5 Bathrooms including Ensuite. Outstanding Designer Kitchen w/Quartz Countertops - Stainless Steel Appliances - Full Insulated Basement with Dricore subfloor membrane - Warm & Ready for development - Well-Built & Insulated to R-value 22 - New Home Warranty! Ideal ‘turn-key’ property. Own this virtually new custom built 2013 family home situated on a large Lot in the heart of Waverley Heights. 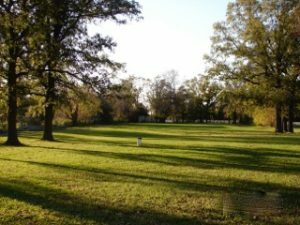 Fantastic location near parks, scenic lakes, schools, stores & many other resources. Gorgeous and completely rebuilt from the original foundation and modernized in 2013. 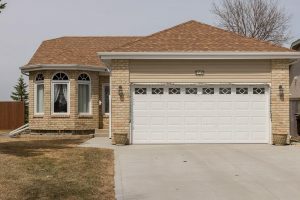 Wonderful 3 Bedroom, 2 Bath Bungalow with a fully finished lower level and over-sized Double Garage. Over 2100 square feet of Living Area on both main and lower levels combined! Everything has been either replaced, upgraded or renovated since 2013 or later. Christmas Special! Builder Promotion!2018 New Build. 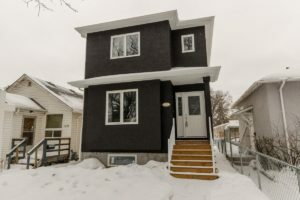 Modern 3 Bedroom 2 Bath Bi-Level Home in West Transcona! Beautiful Modern Build! 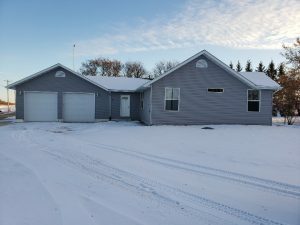 New 2018 3 Bedroom, 2 Bath Bi-Level with over 1055 square feet of Living Area above the full, bright Basement. Situated in west Transcona. It’s just a short walk or drive to many of the community’s schools, shopping and other resources. This is an affordable family home. Well-designed with a fabulous colour scheme that’s easily adaptable to your choice of accenting décor. This home provides the functionality that you and your family need. 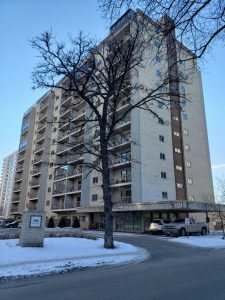 Osborne Village – Mega-Affordable 1 Bdrm End Unit Condo with Nice Views & Underground Parking! Great affordable Starter Condo! 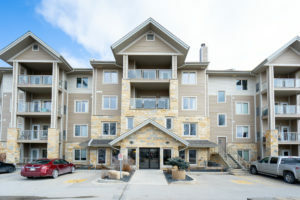 Osborne Village 1 Bedroom End Unit with picturesque views & Underground Parking! 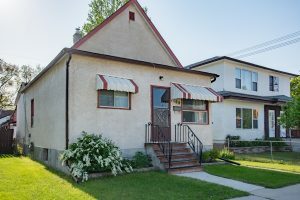 Fantastic Location in North Kildonan near a multitude of neighbourhood landmark parks, playgrounds, schools, restaurants and many other shopping resources. Public Transit access is mere steps away, if needed. This lovely property has marvelous curb appeal with elaborate landscaping that leaves a great first impression. A splendid 1614 sq. ft. Bungalow built in 2006. 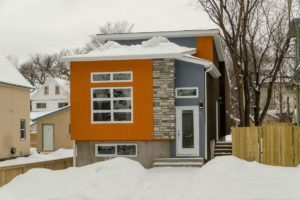 Exterior good looks with Stone accented Façade with easy-maintenance Vinyl Siding and an attached 22’ x 20’ insulated, drywalled & heated Double Garage. This beautiful home provides you with lots of space and is built as solid as they come using insulated concrete form technology. Four bedrooms are split up with 2 on the main level and the other 2 on the finished lower level. 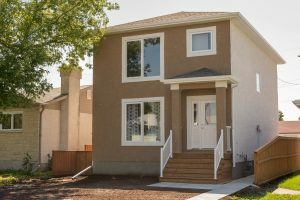 There are 3 full Bathrooms including a 4pc Ensuite and a remodeled 3pc Bath conveniently located in the wide-open finished Basement. Total rebuild! 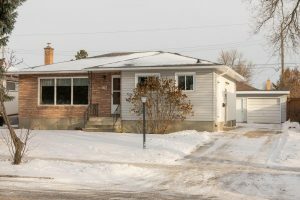 Modern 2 Bedroom Bungalow with 1.5 Baths and features open concept Living Room-Kitchen with Island and attached over-sized Double Garage. Completely redone in 2013. Includes 9 ft Ceilings and Stainless Steel Appliances (2014). 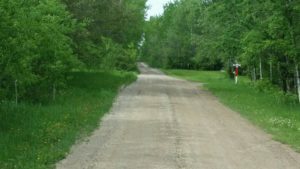 Outstanding Land Development/Investment Opportunity – 8.9 Acres well-located in East St Paul! Excellent investment opportunity! Desirable East St Paul area. 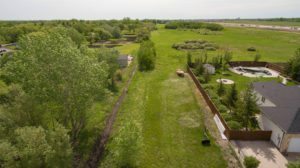 8.9 Acre plot of prime land with approach in place from Mowat Rd. Adjacent to existing upscale homes. Just a stone's throw away from the Perimeter Hwy. Capture the opportunity. Envision the development opportunity. Buy and hold now! 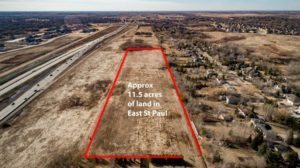 East St Paul Development Land. Fantastic Investment Opportunity! For Those with Vision and a Solid Plan. 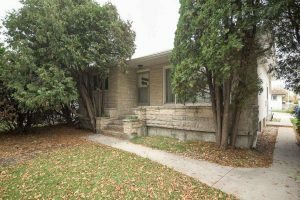 Sought-after East St Paul area. Propose your future development plans. 11.45 Acres of prime Land with access from an opening at Wasney St.Imagine the possibilities. Are you able to envision the potential? It's staggering! 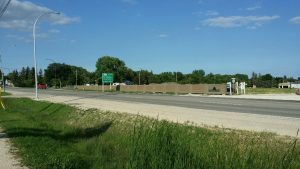 Your project should illustrate the mutual benefits for the surrounding community and the RM of East Paul (which is favourably contemplating zoning changes for this region). 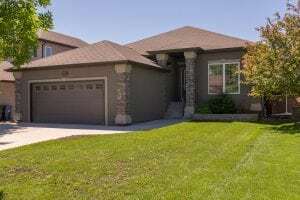 SOLD OVER LIST! $505,000 - Custom Built by Warkentin - Exceptional, quality construction with fortified insulation and sound-proofing components. Value reflected through additional features including Sunroom & finished lower level with extra Bedrooms, Bath and other elements. Superb location. Showings start Sunday June 10 by appointment. Impressive custom-built 1967 sq. 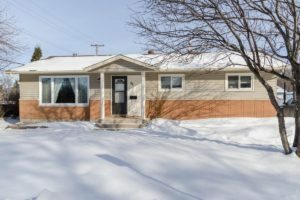 ft. Bungalow features quality workmanship and a sprawling floor plan. High-end construction materials. Premium Fixtures. 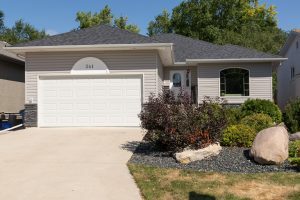 N.Kildonan’s All Seasons Estates near Sun Valley Parks – Immaculate 3 Bedroom Split-Level – Spacious & Bright Kitchen – Fabulous Rec Room – Tranquil Private Yard – Oversized Double Garage & More! Brilliant 3 Bdrm Home - over 2,000 sq ft of living area on all three levels. Very well-maintained. Multitude of construction and component upgrades. 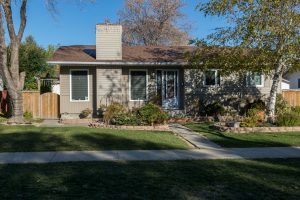 With its spacious Oak Kitchen, elegant Living Rm, fantastic Rec Rm with 2pc Bath plus 4pc main level Bath and 2pc Ensuite off roomy Master, all renovated, and the lovely Backyard, including patios & Gazebo, you'll almost forget about the huge insulated & finished Double Garage! The entire package is right here for you and your family â€“ simply wonderful! Splendid and unique with a fantastic location and great curb appeal. Tranquil, Private Backyard boasts Tinted Concrete Patios, Gazebo & beautifully landscaped. Ideally situated among a thriving resource filled community! 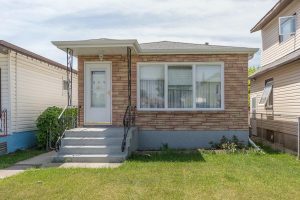 Great location in West Kildonan - 2 Bdrm Starter - Solid and Straight - Some Upgrades Done - Full Basement - O/Sized detached Garage - Nice Lot - Neighbourhood Park just down the Blvd. 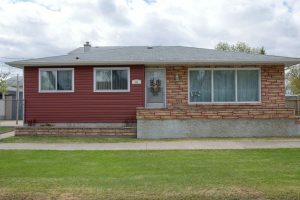 Solid Bungalow features 2 spacious Bedrooms and a large Eat-in Kitchen. Full basement except under original Porch. Extra 2pc Bath and Kitchenette. Carport and Garage too! 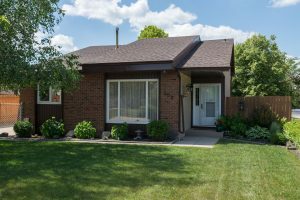 Stellar 3 Bdrm Bungalow with Hardwood Floors, Updated Eat-in Kitchen, 2 Bathrooms, 2 Kitchens, Finished Basement, Garage and Carport. All on a desirable street in the marvelous neighbourhood of Garden City! New and Ready! 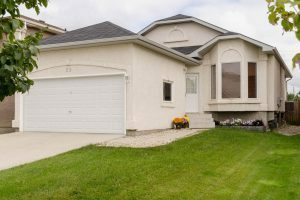 Gorgeous two storey w/1515 sq. ft. of living area above full Bsmnt plus 3 spac Bdrms & 2.5 Baths incl Ensuite & Walk-In Closet in Master. 2nd flr Laundry Rm! Bright Front Ent Dr w/sidelight, beaut Tiled Flr & Guest Closet. Contemporary Decor-modern pastel tones. Huge, open plan feat Living Rm/Dining Rm combo. Adj sliding glass drs to B/yard Deck! Designer Kitchen w/fabulous Cabinetry, Island & Pendant Lights and brilliant QUARTZ C/tops! Pantry, OTR Microwave-Hood Fan & SS D/Washer incl. Marvelous wood-grain Laminate Flring. Floating Shelves, stunning light Fixt & 15 Pot Lights for awesome entertaining friends/family! 2pc Guest Bath w/QUARTZ C/top! 4pc Ensuite & 4pc Mn Bath boast GRANITE C/Tops! Outstanding SECO-AIR system installed, drywalled Bsmnt and ground system for radon control, moisture & mold prevention! Central Air! PVC Windows, 30yr warr. Shingles, HRV, HI Eff Furnace. Fencing! EZ Possess! Price includes GST w/Rebate applied. 1yr Builder & 5yr New Home Warranty! Sunny Beaconia near Grand Beach! Nice treed Lot. Ideal, manageable 2 acres in Beaconia. Road runs along the frontage of 208 feet. 416 feet of depth. 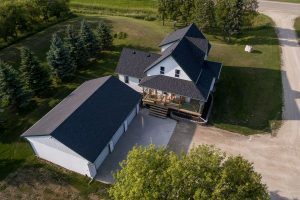 Great to build your 'paradise retreat' just 45 minutes north of Winnipeg on Hwy 59. Close to boat docking. Grand Marais & Grand Beach are just a short drive away. Long time owners ready to retire soon. Your opportunity to invest or build. There's no time like the present. Low annual property taxes! SOLD!!! 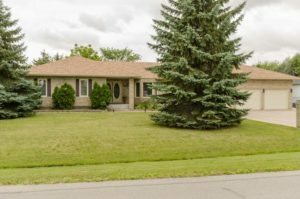 - Beautiful & Spacious Bungalow with 5 Bedrooms 3.5 Baths, Full Rec Rm with Bar, Triple Garage and more! Over 1270 square feet of living area above the finished lower level. Nestled at the end of a serene cove on a pie-shaped Lot in a fantastic, established neighbourhood. ***SOLD! 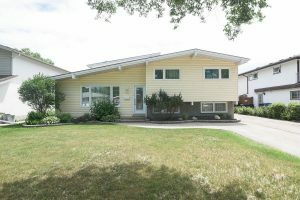 ***Super Bungalow offers upgraded Windows and Modern Maple Kitchen plus a private Yard with Deck and huge Dbl Garage! 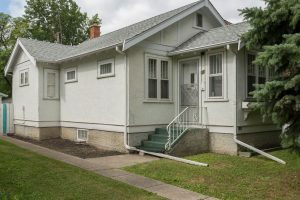 ***INVESTOR ALERT***Long Term TENANT in place***Revenue Property or 1st Time Buyers***AFFORDABILITY FACTOR***Own this 2 bdrm Bungalow as a nice INVESTMENT with a tenant who pays $1075 per month, wants to stay long term and pays all utilities. ***Large Living Rm and good-sized Bedrooms***Roof Shingles replaced in 2015***Updated Electrical Circuit Breaker Panel***4 APPLIANCES included***Newer Laminate Flooring***Mostly TRIPLE PANE Windows. EZ maintenance Vinyl siding exterior. Newer Steel Front Door. Deck. Nice-sized fenced Lot. Good value with affordable payments. Close to public transit and stores. Easy Possession! ***CALL TODAY! 24 hours advance notice for all showings! Extraordinary. 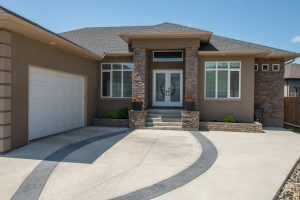 Beautiful – 3 Bdrms & 2.5 Bathrms – Sparkling New Custom Built Home in St Vital! SOLD! 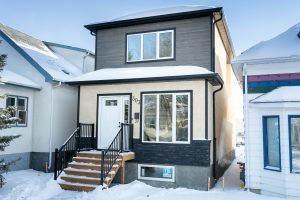 Stellar NEW Home in fabulous St Vital location! Quality workmanship-Vibrant Design-Energy Efficiency! 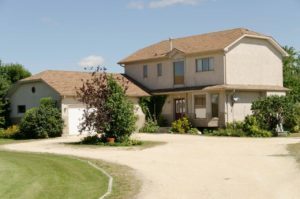 Versatile homestead on 5.84 sheltered acres slightly south of Ile des Chenes. Private setting yet just 11 min fr Sage Creek. Renovated(over $200K) 1960 sq. ft. 4+1 Bdrm, 2 Bath, 1 3/4 Stry w/fin Bsmnt incl NEW FOUNDATION('01),2nd Kitchen w/Oak veneer Cab, LvgRm, Bath & Lrg Bdrm plus IN-FLOOR HEAT!Open main flr plan, contemp paint tones, feat dazzling Red Oak Hardwd Flrs('17), renewed country Kitchen w/Island & farmhouse Sink, Dining area w/Bay Windws, LvgRm w/Wood Stove('15), Family Rm & Remod 4pc Bath('16)! DouglasFir s/case to 2nd level w/orig Maple Hwflrs-Spac Master + 3 more Bdrms! Wrap-around Deck & Vinyl Siding('01), Roof Shingles('16), Triple Pane Windows('01), C/Air,C/Vac,200 Amp, HRV, Alarm, 36 x 24 powered TRIPLE det. Garage, 36 x 60 powered Quonset, 3 powered Sheds/lrg Corral, massive Garden, outstanding yard & greenspaces w/abund of young & mature shrubs/trees incl Willows, Elms, Maple, Spruce & Ash! 8 appliances! & More! Click on Must See Video Tour & Aerial! Incomparable. Magnificent. Outstanding. Your palace awaits. From its majestic exterior and incredible, sculpted landscaping to the meticulously maintained and impeccable interior qualities, this spectacular custom built estate is truly one of a kind. 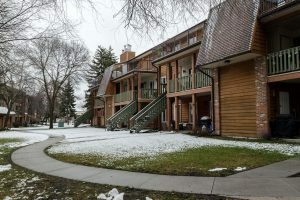 Updated Modern 2 Bdrm Condo! Nestled near River with View! Chic, Executive Style 2 Bdrm Condo with elegant Kitchen and Updates. Nestled privately with River View! 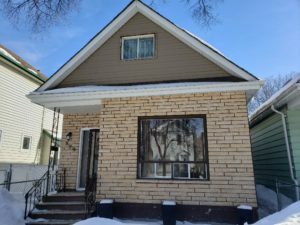 Spacious 3 Bdrm + Den, 2 Bath Bungalow in excellent condition! Full Finished Basement. Detached Garage in a super neighbourhood juststeps from school/parks & more! 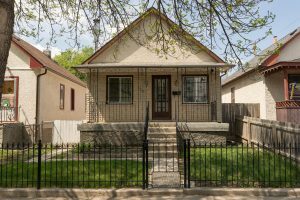 Garden City Gem – 4 Bdrm Split Level with Upgrades and Huge Backyard! 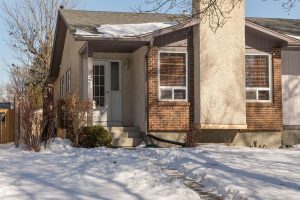 Located on a picturesque street in the desirable & esteemed area of Parkway Square in Garden City and surrounded by area parks, playgrounds & schools with easy access to major shopping centres and other community resources. Longstanding pride of ownership for 28 years. Beautiful, functional and spacious 4 Bedroom, 2.5 Bath, 2 Storey Split-Level with 2,000 sq. ft. of Living Area above the finished Basement that includes a Rec Room area, Laundry & Utility Room, large Crawl Space provides ample storage and a 2pc Bathroom! Great curb appeal includes a wide & deep Asphalt Driveway and; •	Interlock Brick Sidewalk to main entrance flanked by Stone Retaining Walls for assorted perennial landscaping. •	Brilliant & sunny Vinyl Façade with low-maintenance Stucco applied on remaining exterior. •	Large Triple Pane PVC Windows (2012). •	Premium Exterior Doors with elegant, grilled Glass Inserts (2016)! Pleasant, neutral Interior colour palette that easily adapts to many decor & style choices. Bright, center Entryway features Ceramic Tile Flooring and leads to main Hallway, staircase to Bedrooms or Living Room. Split-Level (1970) – Main Floor boasts large rooms and vaulted ceilings that lend to a spacious, open layout. •	Spacious Living Room offers large, grilled, PVC Triple Pane picture Window allowing for ample natural light and quality wood-grain Laminate Flooring (2012). •	Big, stylish Kitchen features an Eating Area that accommodates most dinette suites, abundance of modern Cabinetry with Pantry, crown Moulding & polished Hardware, 3 suspended Light Fixtures and Ceramic Tile Flooring. o	Dishwasher, Fridge and built-in Microwave included! •	Well-sized 2nd and 3rd Bedrooms providing functional PVC Triple Pane Windows, large Closets and wall-to-wallCarpet. •	Master Bedroom offers a lot of space with large Window, roomy Closet and provides direct access to the… •	5pc Main Bathroom featuring and extended countertop with double Vanity, Tiled Tub Surround and Ceramic Tile Flooring. 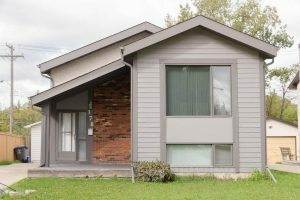 Lower Level – Basement •	Rec Room is bright and equipped with 3 large, functional PVC Windows with Blinds, durable Berber Carpet and access to large Crawl Space for storage. •	Laundry Room with utility Sink o	includes Washer & Dryer o	additional Fridge and Upright Freezer included •	2pc Bathroom •	Mechanical/Utility Room o	Carrier High-Efficiency Furnace (2001) o	Sump Pump & Pit o	Hot Water Tank •	Other notable mechanical components include: o	100 Amp Electrical Circuit Breaker Panel o	Mostly Copper Plumbing o	Central Air Conditioning 2 Storey Addition (1979) – Main Floor – loads of natural light •	Dining Room features bright Window, elegant suspended Light Fixture and Laminate Flooring (2012). •	Family Room provides a brick-faced, wood burning Fireplace flanked by two Windows, additional Window and Laminate Flooring (2012). 2nd Floor •	Huge Master Suite (4th Bedroom) o	5 ft. x 7.5 ft. Walk-In Closet with Organizers o	Built-in Bookcase or Display Shelving o	4pc Ensuite with Acrylic Tub Surround o	Deluxe Ceiling Fan o	Extra-large Window o	supplemental Window Air Conditioning Unit Exterior notables – •	Roof Shingles (2011) •	Fascia & Soffits (2011) •	Alarm System o	wiring into exterior doors will complete functionality •	Huge 57 ft. x 130 ft. 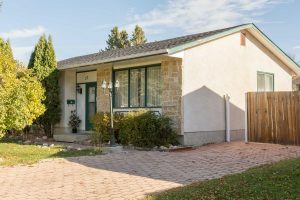 Lot •	Fenced, big Backyard •	Large Concrete Block Patio area •	2 Storage Sheds •	Framed Vegetable Garden •	Beautifully Landscaped – assorted array of Perennials and mature foliage Simply put, this is a wonderful home. Great for your growing family! It offers value, space, function and convenience. Some upgrades have been completed and the location is outstanding! Neighbourhood Park - 'Diplomat Tot Lot' is just steps away. Schools, G.C. Community Centre, Seven Oaks Arena & Soccer Complexes plus City of Winnipeg Library are all easily accessible! Shopping Centres and Restaurants are merely a short drive away! Take advantage today! Just under 800 sq. feet of Living Area above the full Basement and originally built in 1961. Cute curb appeal with attractive Stone Façade and newer Roof Shingles, Fascia & Soffits (2010). Main Floor boasts mostly PVC Triple Paned Windows (2010). Super Nice 3+1 Bdrm Bilevel with designer Kitchen, 2 Bathrms plus RecRm in Riverbend! Outstanding 3+1 Bedroom Bi-level provides 2 Full Bathrooms and a fully finished lower level Rec Room in family friendly Riverbend! SOLD over List! $340,000. Congrats! Ideal for your growing family. 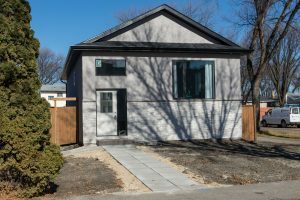 This brilliant 1257 square foot 3 Bedroom Bungalow was built on a Piled Foundation in 2008 by Broadview Homes. Charming façade with nice curb appeal in a well-located pocket of Mission Gardens that’s close to many amenities! 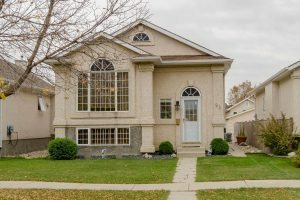 Fantastic Fort Garry Family Home features 1400 sq. ft. w/4 Bedrms above finished Basement! SOLD! Over List Price! Fabulous in Fort Garry! Spacious home with features that include Triple-Paned Windows and Hardwood Floors! Full, finished Basement includes a modern Rec Room and 2pc Bath. Spacious Backyard Deck and more! ***SOLD*** This charming Bi-Level, originally built by Sterling, provides two full Bathrooms and 3 spacious Bedrooms. The lower level includes a Rec Room with Fireplace plus a 3rd Bedroom, Office and Laundry Room! CONGRATULATIONS! SOLD! Seize the Opportunity! 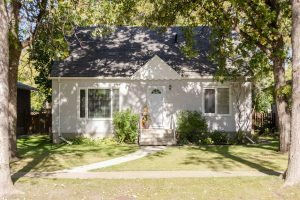 3 Bdrm Bungalow with Hardwood Floors & Dbl Garage in Great Location! Excellent Starter with Great Value! 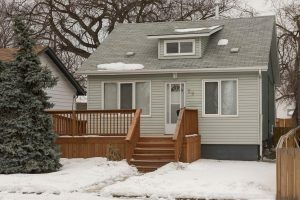 3 Bedroom Bungalow with updated Kitchen & Bath plus huge Double Garage on Big Lot! 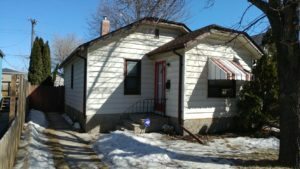 West Kildonan – Great Investment Property or 2 Bdrm Starter Bungalow with Garage in Nice Area! 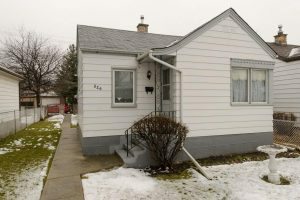 Two Bedroom Starter Bungalow or Investment Property with detached Garage and some upgrades including H-Efficiency Furnace and Electrical! 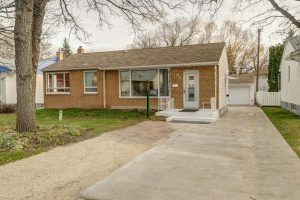 3 Bedroom, 2 Bath Bungalow provides almost 1100 square feet of livable area above the fully finished Basement and is tucked away on a tranquil street within the desirable area of Waverley Heights.